COUNTYWIDE -- In under 24 hours, Dubois County goes to the polls. Voting will go from 6 a.m. – 6 p.m. Tuesday, November 6th. If you want to skip the lines tomorrow, you can still vote early Monday morning at the Dubois County Annex, but you have to do it early. It closes at noon. 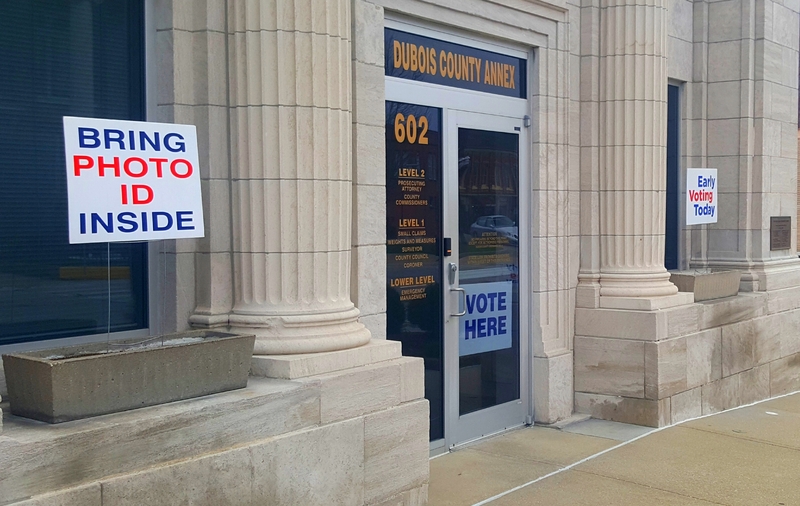 While you can vote anywhere during early voting, on Election Day, Dubois County will go back to precinct-specific voting. If you are not sure of your precinct, please contact 812-481-7035.